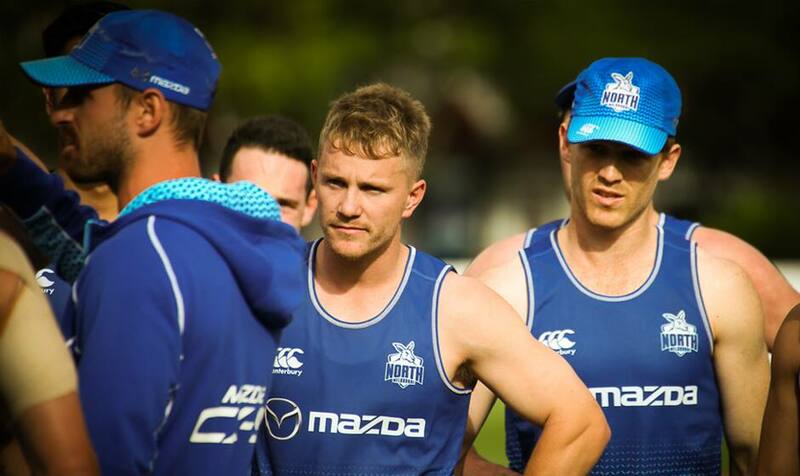 North Melbourne’s VFL team were back on the track at Arden St, for its second week of pre-season training. Newly appointed development coach and VFL player, Brendan Whitecross, put the squad through their paces. Check out the best photos from the session below. The playing group were in good spirits for Monday's session. Fan favourite Lachlan Mirams takes part in some light stretching. Development coach and VFL player Brendan Whitecross gives instructions during a drill. Matt Northe leads a pack of VFL trialists. Nick Hogan enjoying some friendly competition. Nick Rippon does his best to create distance during a drill. Chris Jansen feels the heat on a warm Monday night. Louis Cunningham finds a long target. Fraser Cameron listens out for further instructions. As Jansen hones his kicking technique. Jordan Harper taking a moment to catch his breath.